Just Jingle: It's Time for the November Samantha Walker Creative Team Blog Hop! It's Time for the November Samantha Walker Creative Team Blog Hop! Welcome to the Samantha Walker Creative Team Blog hop! If you came from Cristal's blog you are already on your way! If not, hop on over to Samantha's blog to get started! Don't forget to leave comments all along the way for your chance to win a FREE Samantha Walker Digital scrapbook kit! And I have a wicked fun project to share with you! Do you love Pinterest? Are you addicted to it yet? 'Cause, folks, let me tell you, I LOVE THAT PLACE!!!! When I stumbled upon a fabulous tutorial for a fabric scrap necklace I knew EXACTLY what fabric I was going to use for it! I KNOW?! RIGHT?! I love it! YAY! I used Samantha's fabulous Decadence collection for this one. It's REALLY simple! Just pull out three long fabric scraps - I tore mine from larger pieces to give them nicely frayed edges, and braid together. 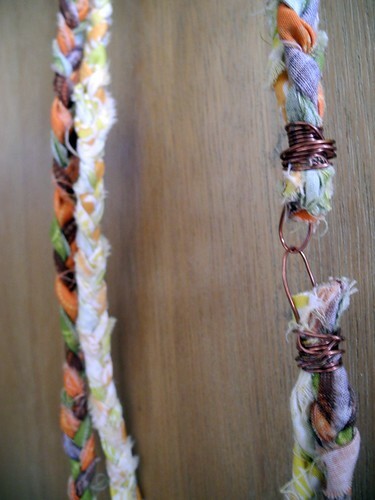 I created two braided ropes for mine. One with deeper tones and a slightly shorter one with light tones. To finish the ends, I stitched the two ropes together making the secure and then wrapped them in wire and attached them, one to the other, with the wire. There is no clasp, as it is large enough to fit over the head easily. Super simple and so pretty! I also created a pretty little card to go with it. Seeing as the fabulous Orchard Harvest collection matches this fabric so brilliantly! 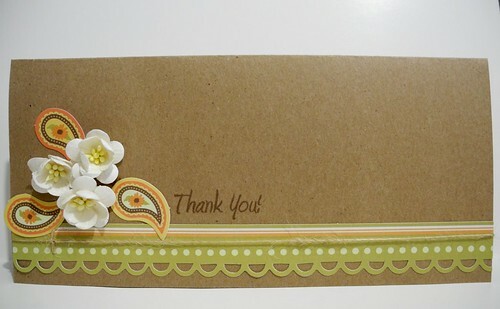 I also stamped the sentiment with Samantha's Ornate Artisan Stackers set from Unity! The flowers I had on hand and the twine is from May Arts, of course! So, that is what I have to share with you today! YAY!!! Hop along to the other designers to check out what they have created! These are some talented chicas, let me tell you!!! 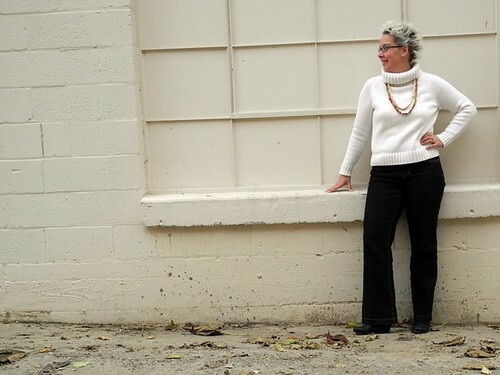 Your next stop is Jennifer Beason's fabulous blog! P.S. It just so happens to be Jennifer's birthday, so be sure to tell her HAPPY BIRTHDAY when you get there! See you soon! Happy Wednesday! This is also my WOYWW post, as these projects are EXACTLY what have been on my workspace! what a fun necklace! and your card is wonderful! Gotta make me one of those delightful fabric necklaces! Great job! 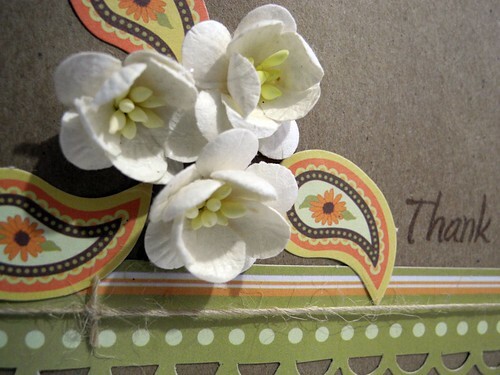 I so love the flowers on the card. I have a bush outside that has the same blooms on it...so pretty. I've made a few hair bands braiding fabric and it comes out SOOO awesome!!! And I lov eyour messy desk... looks about like mine right now!! LOVE the necklace & how you did the ends!! Super necklace! Going to have to try that for sure! Gotta love Pinterest! I think the card is beautiful! Love the paisleys around the little white flowers. I can tell you have been busy:):):) super cute necklace and the card is fantastic!!! What a fun idea using the fabric! That card is simply gorgeous too! How fun! I'd like to try my hands on that fabric. Jen, I love how you take something fairly normal and give it a fun twist. You are just so creative! Wonderful & creative projects! My desk doesn't look much better right now, oh well. Love and love!! (referring to the necklace and card) I also love the pic of you modeling it!! Her fabrics are so pretty. I need to buy some. Cute necklaces. They would be good for kids to make, too. gorgeous creations, so love your fabric necklaces! 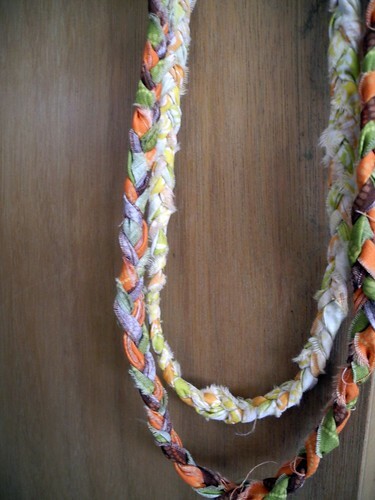 Love your necklace, great way to use up some of my scraps. Your card is adorable - love all of the details on it! Lovely necklace and pretty card but the desk - well!!! Wow, Jennifer, I love your coordinating necklace and card! What a great gift set that would be. Love your creativity! BEAUTIFUL! Both the necklace AND the card! I can't have ANY more addictions! Asd it is, I barely sleep, I love so many things! One day, I would love to come and play in your workshop, Jingle!! Hi there, I'm a little late this week but wanted to pop in to see what you've been up to. Hope you enjoy the rest of the week and have loads of creative fun! That is SUPER cute! I love it! You did a great job. Thanks for linking up to the Handmade Holiday! Oh how lovely! I love it when you're so inspired by something that you just sit down and get it done! It's a fab idea. I'm not going near Pinterest...do you have any idea how much time I 'spend' browsing already??!!!! Such a pretty card- and a great neclase. 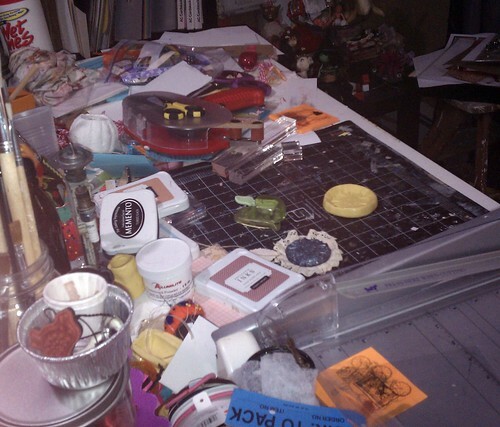 I love that you post pic's of your workspace....yikes- I am not so brave!!! You have been a very busy girl. I love to see pictures of you desk...is that odd ? Great necklace, busy desk. Didn't recognize you with the new hair. Happy belated WOYWW from #4. Wonderful card and what a creative necklace! Is that the same technique that some people do those rugs out of? I hope that sounds like a genuine question, really it is! Love everything you did for the hop! I missed it, but I am hopping anyhow!